As I’m writing this, I have one week until I go back to sixth form, and when this post publishes, it’ll be one day (aaaahhh!) I’m sort of dreading starting year 13, especially after a really great summer. I’ve done so many cool things but now I’m preparing to return to a non-existent social life and even more academic pressure than I’ve ever had before. Sooo, how am I gonna cope with that? BOOKS! This blog post is a list of all of the books I hope to read in the (little) free time I have during my first school term. My dad picked up a copy of this graphic novel, but I had to steal it from him! It’s a portrait of David Bowie’s life, right at the start of his career, documenting his time in Haddon Hall. I’m local to Beckenham and this place Bowie used to live, so I thought it would be a really interesting read. The cover is so vibrant! I purchased Likewise, another graphic novel by Schrag, before realising I didn’t own the precious books in the series. 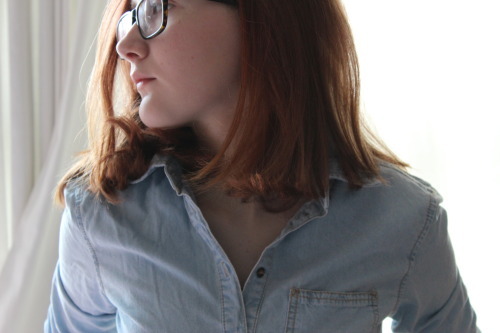 This graphic novel collects the first two memoirs she wrote, whilst still in high school. I’ve read so many fantastic reviews of this relatable and quirky memoir series, so I’m really eager to start it. And what better time to read it than my last year at school? I adored Miss Peregrine’s Home for Peculiar Children, the original book and the film. It’s probably one of my all-time favourite YA books. Despite having first read Miss Peregrine’s a while ago, I’ve never gotten around to its sequel. I’m putting this at the top of my TBR pile as I think it’ll be the perfect book for escapism on study breaks. One of my new resolutions is to read more non-fiction; more specifically about politics and society. It’s hard to stay away from the news in the current political climate, but so-called “fake news” has become so common that it’s difficult to know when and how to respond. I’m hoping to learn a lot from this! I’ve read so much about Black Lives Matter, but only in small snippets across social media. I’ve wanted to educate myself more about the situation of police brutality in America, so this book has been on my radar for the past few months. The writer is a journalist, who reported on related events over a number of years. This is going to be a very hard-hitting read, but I know it’ll also give me much more insight into an important movement. This entry was posted in Discussion and tagged blog, blogging, books, david bowie, graphic novel, non-fiction, photography, politics, ransom riggs, reading, tbr list, tbr pile, to read, wesley lowery, ya fiction, young adult on September 6, 2017 by Gee. Published August 1st 2017 by Switch Press. Goodreads Synopsis: On Roanoke Island, the legend of the Lost Colony—and the 114 colonists who vanished without a trace more than four hundred years ago—still haunts the town. But that’s just a story told for the tourists. When 114 people suddenly disappear from the island in present day, it seems history is repeating itself—and an unlikely pair of seventeen-year-olds might be the only hope of bringing the missing back. Miranda Blackwood, a member of one of island’s most infamous families, and Grant Rawling, the sherrif’s son, who has demons and secrets of his own, find themselves at the center of the mystery. As the unlikely pair works to uncover the secrets of the new Lost Colony, they must dodge everyone from the authorities to long-dead alchemists as they race against time to save their family and friends before they too are gone for good. My Review: I didn’t have much knowledge of this book when it arrived in the post, or when I started reading! So it was only when I put this blog post together that I discovered this is actually a new version of Bond’s first book, Blackwood, which was published by Strange Chemistry (RIP, you brilliant company). If you hadn’t heard of Blackwood, I’d really recommend checking out new version now. The set up for the story was really engaging, exploring Miranda’s unconventional life as a theatre worker and member of the most hated family on the island. The theatre Miranda works at tells the story of the ‘lost colony’ of the island from centuries ago – and when history begins to repeat itself, Miranda finds herself at the centre of the mystery. Miranda was a really likeable protagonist! Though a typical outcast-teenager character, it felt refreshing to read about her. Bond takes a lot of time to delve into her family history, which intertwines with the mystery of the island, and I adored that. The character of Grant didn’t stand out to me as much, but I really enjoyed his narration too. I have to admit that the plot lost me a little, about two thirds in. I didn’t quite understand how the 114 disappeared and later events unfolded. It became a little complex for me; I definitely enjoyed reading the initial mystery more. I couldn’t quite get my head around some parts, but nevertheless the book still gripped me and I carried on reading. Bond takes fascinating elements of real history, and blends it with fantastical imagination to create a really inventive story. 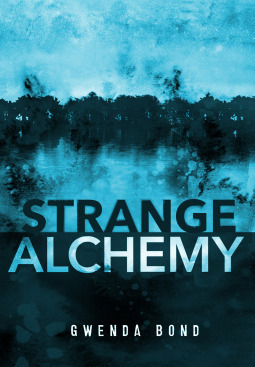 Overall, I would certainly recommend Strange Alchemy if you love a mystery! It’s inventive and gripping. Bond has re-imagined history to create an even more eerie story, and it’s fantastic. I received a copy of Strange Alchemy from the publisher, in exchange for a review. In no way at all did this affect my thoughts. This entry was posted in Book Review and tagged 2017 release, blackwood, book review, curious fox books, gwenda bond, history, mystery, strange alchemy, thriller, YA, ya fiction, young adult on August 29, 2017 by Gee. I’m very late to the party with this one: Cinder is big, has its own fandom, and has been out for a while. But it’s never too late to fall in love with an awesome book, right? Published 2012 by Puffin Books. Goodreads Synopsis: A forbidden romance. A deadly plague. Earth’s fate hinges on one girl . . .
CINDER, a gifted mechanic in New Beijing, is also a cyborg. She’s reviled by her stepmother and blamed for her stepsister’s sudden illness. But when her life becomes entwined with the handsome Prince Kai’s, she finds herself at the centre of a violent struggle between the desires of an evil queen – and a dangerous temptation. Cinder is caught between duty and freedom, loyalty and betrayal. Now she must uncover secrets about her mysterious past in order to protect Earth’s future. This is not the fairytale you remember. But it’s one you won’t forget. My Review: Normally, I give it a couple of days between finishing a book and writing a review, but it’s been mere few hours and I JUST WANT TO TALK ABOUT THIS BOOK. I’ve owned a copy of Cinder for so long that I can’t remember where I got it from – it’s certainly been on my TBR pile for too long. I wish I’d read it sooner! After being in a reading slump for, well, months really, I decided I needed something a bit different to read. This totally cured said reading slump – I read the whole thing in a day. I was completely hooked on the story. Meyer is a fantastic writer, and this concept is really incredible. 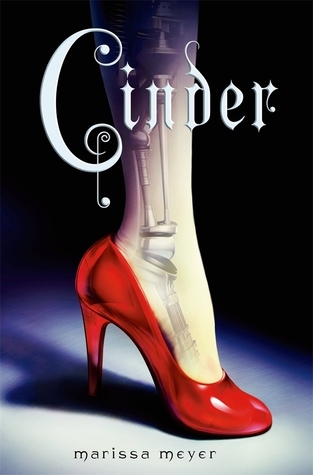 If Cinder isn’t on your radar, here’s the basics: it’s a re-imagining of Cinderella, where Cinder is a cyborg mechanic in New Beijing, a city hundreds of years in the future. A plague is sweeping this future Earth, and Cinder discovers she has an important part to play in scientific research, but this sudden shift in Cinder’s life is a huge risk. I was worried that the concept would be a bit cheesy and disjointed – how do you work the classic elements of the Cinderella tale into a story about a future with cyborgs? But, wow, it really worked. I was totally absorbed in the story, perhaps more so than any other book I’ve read this year. It’s richly imaginative and I’m envious of Meyer’s storytelling capabilities. The imagery was so vivid to me; every scene played out like an epic film in my head. Cinder was a really interesting character. Her back story was woven into the story really well, and I felt for her throughout the book. She was so three-dimensional to me. The re-imagining of the classic Cinderella character is so clever, yet Meyer doesn’t rely on the fairy tale. Instead, her protagonist is full of individuality. The only thing that did irk me was her often overly sarcastic dialogue. I couldn’t work out her intentions in some chapters! But I really enjoyed reading about her all the same. Overall, Cinder was fantastic. It’s definitely one of the best fantasies I’ve read in a long time. If you haven’t read this, I definitely recommend you do! Cinder is richly imaginative and gripping and hard to put down. I wanted to read the next instalment immediately after I turned the last page (luckily, my copy has just arrived… brb while I go binge-read this). I purchased a copy of Cinder. This entry was posted in Book Review and tagged 2011 release, adventure, book blog, book review, cinder, cinderella, fairytale, fantasy, marissa meyer, re-imagining, reading, sci-fi, ya fiction, young adult on August 16, 2017 by Gee. Published May 4th 2017 by Stripes Books. Goodreads Synopsis: Bex and her identical twin sister Naomi used to be close. They used to be able to finish each other’s sentences, used to know exactly what the other was thinking. They were a matching pair. But Bex didn’t even realise until it was too late. When Naomi walks out of the house the night before their last GCSE exam and doesn’t come back, Bex has to think hard about how to find her. What happens next will force Bex to unpick their shared history and the memories, following Naomi’s trail through their family, their past and all the way to the blinding lights of the Hemisphere music festival. Everything she thought she knew is called into question. My Review: It’s not every day that a book arrives at your doorstep with a blue wig… So needless to say, this had me very intrigued! I didn’t know very much about it before starting, but found that quite refreshing – and I enjoyed the story a lot. 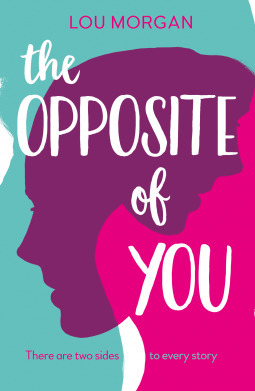 The Opposite of You focuses on twins Naomi and Bex, who have grown apart at sixteen; Naomi becoming more rebellious and private about her social life. When Naomi goes missing, Bex has to piece together everything she (thinks she) knows about her sister to figure out what’s happened. I was a little hesitant when I got into this, because the whole twin-minds thing is a bit of a trope in fiction! I really hoped this wouldn’t be too typical and predictable. However, the twin set-up is done really well. It’s a great take on the relationship between sisters and all of the ups and downs. Morgan really takes the time to delve into the different personalities of Naomi and Bex, which I really loved, especially Naomi’s alternate persona. I found myself being able to connect with the characters more than I thought for a relatively short read. Bex’s chemistry with a newfound friend pleased me because there was no forced romance. The focus remained on Naomi’s disappearance, which I was glad about. What I think I loved most about this book was its structure! It seems a little strange, at first, flitting back and forth between Bex and Naomi in the present, then previous days, months and years. The narrative is structured really well and I loved the way the plot unfolded through different little hints and secret reveals. Some of the flashbacks to the twins’ past seem random, like the final one before the ending, but the symbolism is a really great touch once you pick up on it. I do feel like the story ended quite abruptly – I wish there had just been a chapter or two, to explore Bex and Naomi’s relationship some more after the events of the music festival. Aside from that, though, I really can’t identify anything I’d change. Overall, The Opposite of You is a fantastic read that will hook you in and not let you go until you’ve close the book. I ended up devouring the story over a couple of hours; it’s an addictive read! The characters are really well fleshed out. Although the concept of twins and an otherwordly connection may feel a bit overdone in books, Lou Morgan tells their story in a great, refreshing way. I certainly enjoyed this. I received a copy of The Opposite of You from the publisher, in exchange for a review. In no way at all did this affect my thoughts. This entry was posted in Book Review and tagged 2017 release, adventure, contemporary, lou morgan, mystery, relationships, stripes books, telepathy, the opposite of you, twins, ya fiction, young adult fiction on June 21, 2017 by Gee. Published May 4th 2017 by Quercus. Goodreads Synopsis: Harper has tried to forget the past and fit in at expensive boarding school Duncraggan Academy. Her new group of friends are tight; the kind of girls who Harper knows have her back. But Harper can’t escape the guilt of her twin sister’s Jenna’s death, and her own part in it – and she knows no one else will ever really understand. But new girl Kirsty seems to get Harper in ways she never expected. She has lost a sister too. Harper finally feels secure. She finally feels…loved. As if she can grow beyond the person she was when Jenna died. Then Kirsty’s behaviour becomes more erratic. Why is her life a perfect mirror of Harper’s? And why is she so obsessed with Harper’s lost sister? Soon, Harper’s closeness with Kirsty begins to threaten her other relationships, and her own sense of identity. How can Harper get back to the person she wants to be, and to the girls who mean the most to her? My Review: I first heard about Girlhood at YALC last year, so I’ve been really excited about getting a copy for a while. Cat Clarke’s last three books were incredible, so I had high hopes for this one. Girlhood takes place at a Scottish boarding school, where Harper has spent the time since her twin sister died. When a new girl joins Harper’s tightly knit group of friends, and seems to feel the same way as Harper, the group’s friendship is put to the test as dark secrets surface. I really liked the set-up for the book. I haven’t read many books set in a boarding school and I feel like it set a really fitting tone for the story, isolating the girls so the main focus is on their relationship dynamics. It definitely added an eerie atmosphere to the story. One of my favourite things about Girlhood is that the friendship group was refreshingly diverse. Hell yes for a bisexual protagonist! And a gay roommate! And a friendship group that isn’t all white! I think the characters all had a really interesting dynamic too. I wish that some had been explored further, such as Ama, but the story was still really engaging and I loved the protagonists and their chemistry. I feel this book was quite different from Clarke’s previous ones, as it felt less suspenseful to me – but it was still an incredibly riveting read. I ended up devouring it in a day, pretty much in one sitting, because I was so eager to understand why Kirsty’s actions were obsessively mirrored Harper’s. I did predict part of the truth revealed at the end, but it was still such an engrossing story. 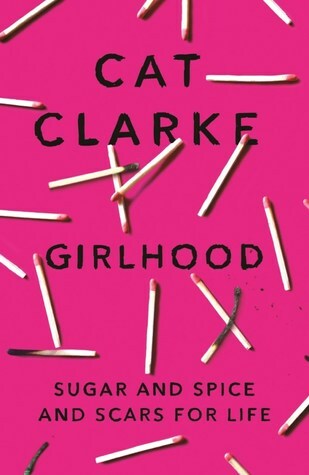 Overall, Girlhood is another exciting book from Cat Clarke that I definitely recommend reading. It’s a really captivating read, that had me intrigued form start to finish. It explores so many different themes, from family death to the complications of friendships when you’re a teenager. I feel like it’s quite different from some of Cat Clarke’s books, like Undone, but it’s still a fantastic read. I received a copy of Girlhood from the publisher, in exchange for a review. In no way at all did this affect my thoughts. This entry was posted in Book Review and tagged boarding school, book review, cat clarke, contemporary, family, friendship, girlhood, mystery, suspense, twins, ukya, YA, ya fiction, young adult on May 30, 2017 by Gee. Published 6th April 2017 by Bloomsbury. Goodreads Synopsis: Science geek Meg is left to look after her little sister for ten days after her free-spirited mum leaves suddenly to follow up yet another of her Big Important Causes. But while Meg may understand how the universe was formed, baby Elsa is a complete mystery to her. My Review: I’ll admit I’m one to judge a book by its cover. Though I hadn’t read any of McLachlan’s books previously, I was really drawn to this. How beautiful is it?! Anyway, I’m glad I did decide to give it a go because this is now definitely up there in my favourite reads of 2017 so far. Stargazing for Beginners tells the story of Meg, an teenage aspiring Astronaut, who is hesitantly entering a competition to go to Houston. Just two weeks away from her competition, Meg’s mother suddenly leaves for a humanitarian cause, rendering Meg in a difficult situation, juggling school, her aspirations and her baby sister. It’s a crazy concept, but I absolutely adored it. I became really emotionally invested in the story; I didn’t expect to become so attached. I cannot fault McLachlan’s characterisation at all: it’s fantastic. Every person in the book felt so real to me, from Meg and her quirky family members to the pupils at her school. I particularly loved reading about Meg developing a relationship with her baby sister, in light of her mum leaving. So much of this book was unexpectedly poignant and beautifully written. One of the things I loved most about Stargazing for Beginners is it’s portrayal of feeling like an outcast at school. Meg sticks out, being overly passionate about science and labelled a geek. She’s such a relatable character, appealing to read about for anyone who’s ever been through the horrible experience of Secondary school 🙂 It was really moving to see Meg develop a network of friends over the course of the story. And, of course, it was fantastic that one of those friends was portrayed with Cerebral Palsy, a physical disability affecting movement. Disabled characters seem to be pretty underrepresented, particularly in terms of genuine portrayals – so this was really awesome to see. Stargazing for Beginners has such a wide appeal. Its themes of family and space are written about so wonderfully, it’s hard not to fall in love with the story. I tend to read books with darker or slightly older themes, so I wasn’t sure how much this would appeal to me, but I fell in love with it. The story is so uplifting and touching, I can’t imagine that any kind of reader would dislike it. Overall, I would definitely recommend Stargazing for Beginners. It’s perfect for anyone, of any age, looking for a feel-good read. Witty, moving and memorable, this is bound to sweep you up as it did with me. Having really enjoyed this, I’m very excited to see what McLachlan writes next! I received a copy of Stargazing for Beginners via the publisher, in exchange for a review. In no way at all did this affect my thoughts. 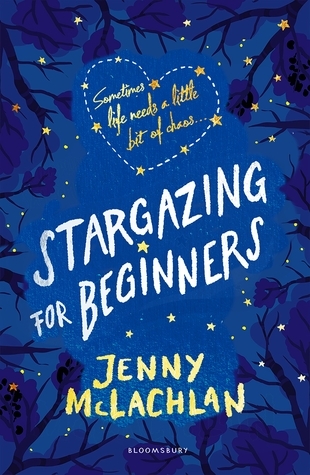 This entry was posted in Book Review and tagged 2017 release, contemporary, family, jenny mclachlan, love, middle grade fiction, pace, school, stargazing for beginners, stargazings, ya fiction on May 3, 2017 by Gee. 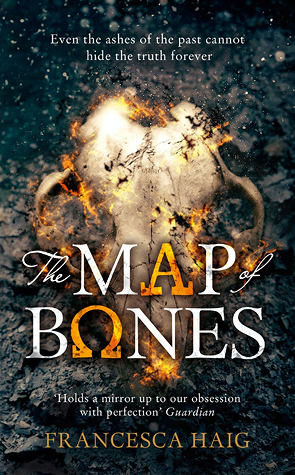 Tomorrow, The Map of Bones is being released in Paperback! 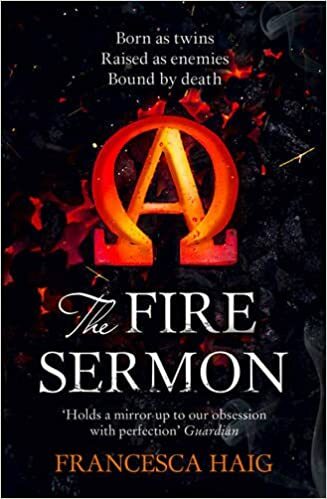 It’s the thrilling sequel to The Fire Sermon, a fantastic fantasy debut I enjoyed a while back. To celebrate the second book’s paperback release, here’s a sneak peek inside the book if you haven’t delved into it yet – an extract I posted last year for the blog tour. Piper and I sat near the entrance to the cave, watching the sun shrug off the night. More than a month earlier, on the way to the silo, we’d slept in the same hidden cave, and perched on the same flat rock. Next to my knee, the stone still bore the scuff-marks from where Piper had sharpened his knife all those weeks ago. I looked at Piper. The slash on his single arm had healed to a pink streak, the scar tissue raised and waxy, puckered where stitches had held the wound closed. At my neck, the wound from The Confessor’s knife had finally healed, too. In the deadlands, it had been an open wound, edged with ash. Was the ash still there, inside me, specks of black sealed beneath the scar’s carapace? Piper held out a piece of rabbit meat skewered on the blade of his knife. It was left over from the night before, coated with cold fat, congealed into grey strings. I shook my head and turned away. All of our conversations began and ended at the ships. Their names had become like charms: The Rosalind. The Evelyn. And if the hazards of the unknown seas didn’t sink the ships, then sometimes I felt that the weight of our expectations would. They were everything, now. We’d managed to rid the Council of The Confessor, and of the machine that she was using to keep track of all Omegas – but it wasn’t enough, especially after the massacre on the island. We might have slowed down the Council, and cost them two of their most powerful weapons, but the tanks were patient. I’d seen them myself, in visions and in the awful solidity of reality. Row after row of glass tanks, each one a pristine hell. That was the Council’s plan for all of us. And if we didn’t have a plan of our own, a goal to work for, then we were just scrapping in the dust, and there’d be no end to it. We might forestall the tanks for a while, but no better than that. Once, the island had been our destination. That had ended in blood and smoke. So now we were seeking the ships that Piper had sent out from the island, months before, in search of Elsewhere. There were times when it felt more like a wish than a plan. It would be four months at the next full moon since the ships sailed. ‘It’s a hell of a long time to be at sea,’ Piper said as we sat on the rock. I had no reassurance to offer him, so I stayed silent. It wasn’t just a question of whether or not Elsewhere was out there. The real question was what it could offer us, if it existed. What its inhabitants might know, or do, that we couldn’t. Elsewhere couldn’t just be another island, just place to hide from the Council. That might offer us a respite, but it would be no solution, any more than the island was. There had to be more than that: a real alternative. The Map of Bones paperback edition is released tomorrow (January 26th) from Harper Voyager. This entry was posted in feature and tagged 2016 release, 2017 release, adult fiction, extract, fantasy, francesca haig, harper voyager, teaser, the fire sermon, the map of bones, ya fiction on January 25, 2017 by Gee.